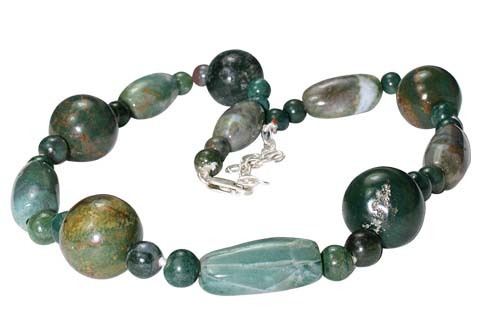 Let this collection of bloodstone necklaces in 925 sterling silver of different shapes, sizes and styling delight your eyes, body and soul. 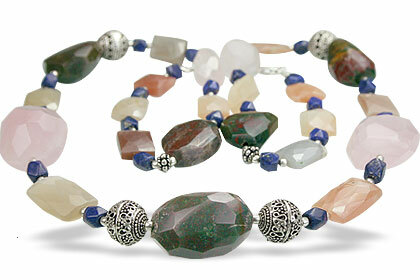 These necklaces are hand crafted or beaded by skilled artisans. 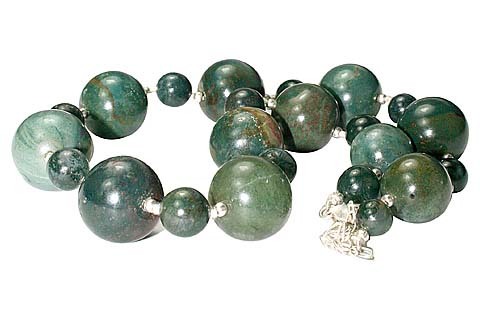 You will find here bloodstone beads and stones of chipped, tumbles, round, oval, faceted and many more shapes beaded variously with other semiprecious gemstones and sterling silver. 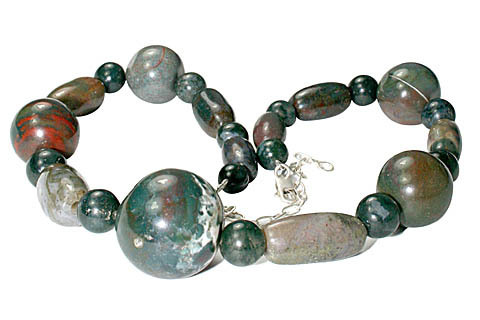 The bloodstone is associated with courage, abundance, purification and good fortune. 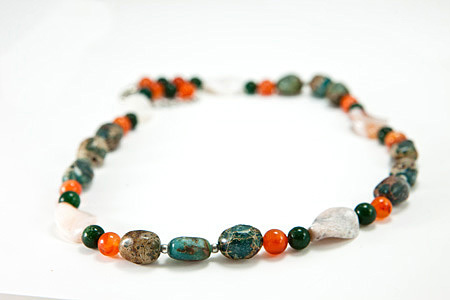 Helps one to accept change and overcome anxiety, depression and melancholy. Renews relationships and love life. 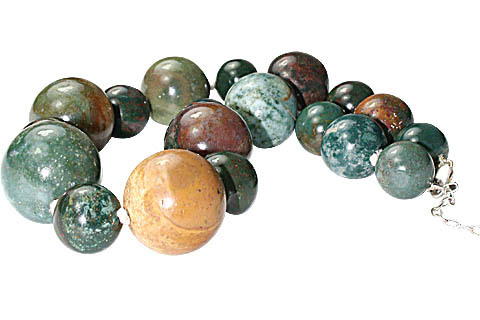 Provides vitality, boosts talent, organizational abilities and charitable instincts. 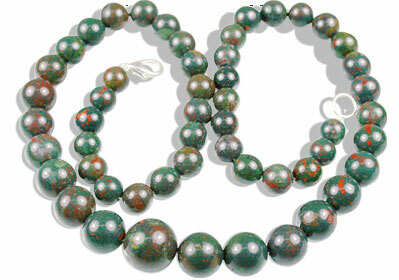 Bloodstone is a stone with red spots which resemble drops of blood, so it is received its name due to this similarity. 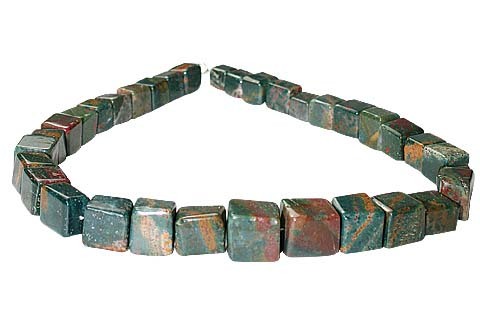 More about Bloodstone: In the Middle Ages, Bloodstone (sometimes also called Blood Jasper in the trade) was attributed special powers as the spots were thought to be the blood of Jesus Christ. 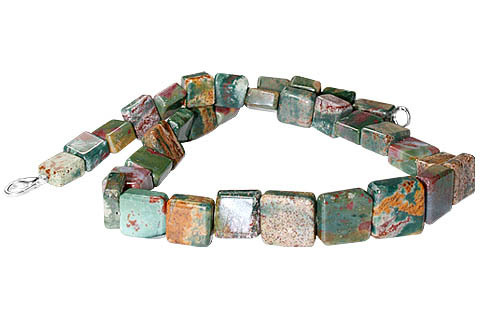 It was used in sculptures representing flagellation and martyrdom. 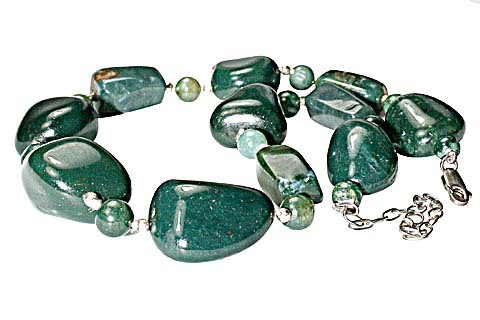 Bloodstone is a green stone with red spots which resemble drops of blood, so it is received its name due to this similarity. 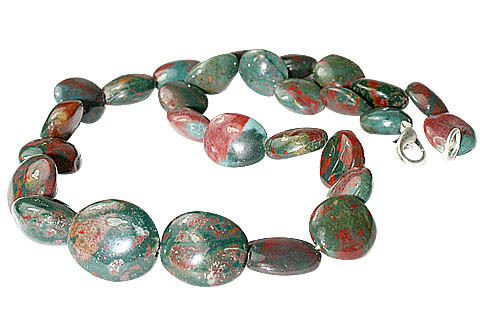 Bloodstone also occurs in shades of dark green with red, brown and multicolored spots. 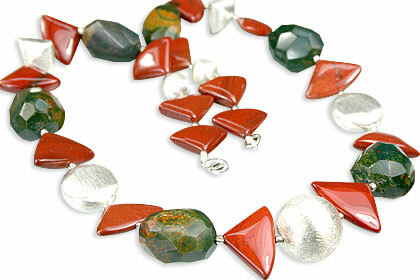 The iron minerals cause the deep red and brown colors. 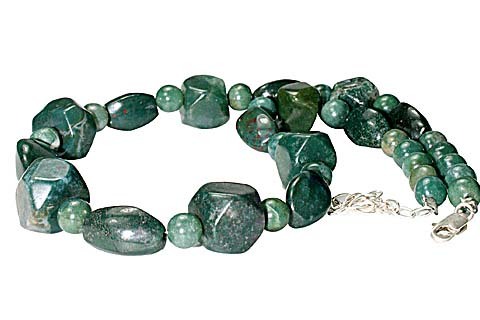 Bloodstone is actually a dark-green variety of the silica mineral known as Chalcedony, which has nodules of bright-red Jasper distributed throughout its mass. 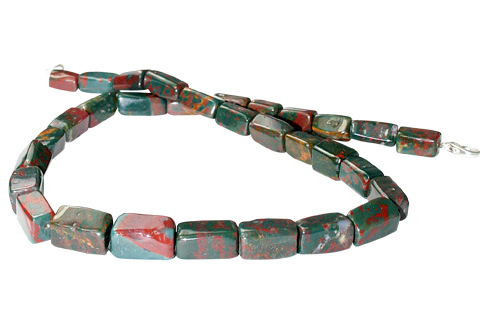 Polished sections therefore show red spots on a dark-green background. 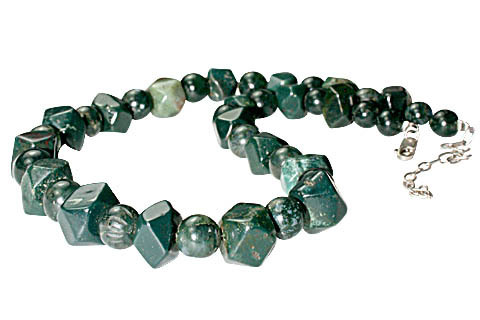 Its physical properties are those of quartz. 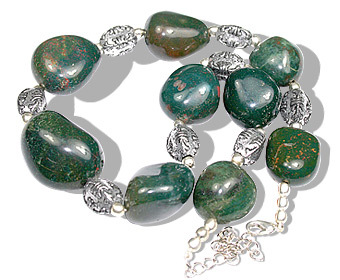 Bloodstone is associated with courage, abundance, purification and good fortune. 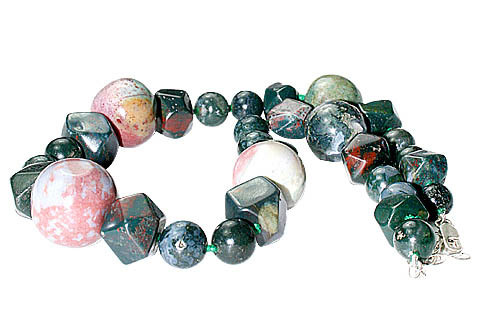 It is said to renew relationships and love life. 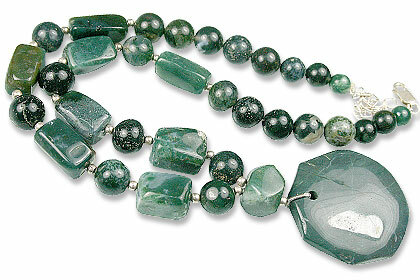 It is also said to provide vitality, boost talent, organizational abilities and charitable instincts. 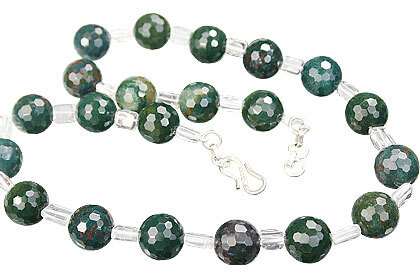 It is believed to help in curing psychosomatic illness and pains. Other healing actions it is credited with are purification of blood, and detoxification organs especially liver, kidneys, bladder and spleen. 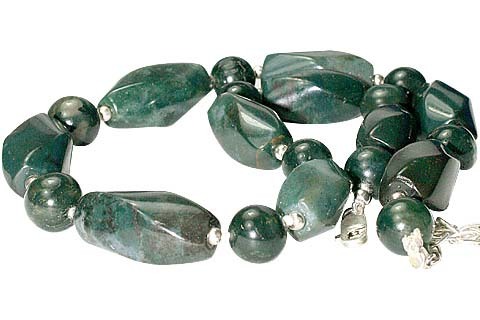 Bloodstone is found in India (Kathiawar Peninsula), Australia, Brazil, China, and the United States.